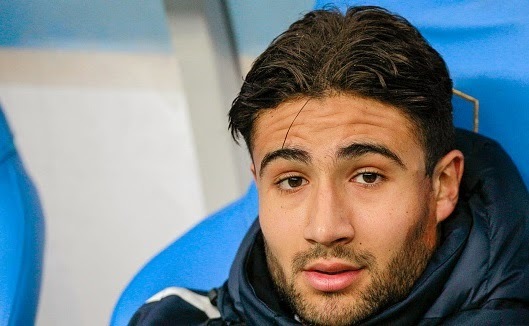 Arsenal to seal £20million star: Arsenal target Nabil Fekir is expected to leave his side Lyon in the summer as the reports are claiming strong interest from the Gunners. Arsenal target Nabil Fekir is expected to leave his side Lyon in the summer as the reports are claiming strong interest from the Gunners. Arsenal have been targeting him since the January window and are likely to seal a 20 million pound deal for the 21-year-old star in the summer. Manchester City are also keeping tabs on the player but it is likely that the Gunners will win the race as Fekir’s father told Le Parisien few month ago that his next destination will only be Arsenal. Fekir has been a vital player for Lyon and he earned his first cap for France yesterday in a friendly game against Brazil. Fekir has scored 11 goals and assisted seven in 26 Ligue One appearances so far this season. Meanwhile, Tuttosport also reported an interest from Itlaian side Inter Milan. On the other hand, Manchester United are planning for a shock move for Arsenal attacker Theo Walcott, as per the reports. Walcott revealed on Twitter yesterday that Arsenal have not offered him a new deal which means they could sell him in the summer. The 26-year-old has not been a regular player for Arsenal since his return from injury despite of his impressive displays. The Englishman’s current contract will expire next season and reports from Metro claimed that United are ready to fight Liverpool to secure his deal.